The SioGreen IR260 Infrared Electric Tankless Water Heater is maintenance free, space-saving, water-saving and energy-saving. What more could you ask for? If you were to take a few moments to imagine what your home would be like without a water heater, you’d realize how miserable it could be. When it comes to creating water to wash your dishes, clothes, and body, you’re going to need access to water at the perfect hot temperature. There are plenty of reasons as to why homeowners find themselves in the position of needing to buy a new water heating appliance. Whether you’re looking for a unit to accommodate a larger home or if you need a more efficient unit to cut back on monthly bills, the Sio Green IR260 is a competitive tankless unit to take into consideration. Water Saving Technology: One of the most interesting features of this SioGreen infrared heating appliance is that it only heats the water that you need. As the water passes through the unit while it is being consumed, it is immediately heated and delivered to your shower, sink, dishwasher, etc. This helps to reduce the amount of hot water you waste on a regular basis. Energy Saving Technology: With the help of the highly advanced heating elements, your water is heated much faster than with competing tankless water heaters. Coil-Less Technology: In comparison to traditional water heaters that use metal components for heating that are prone to corrosion, this model offers coil-less technology. This helps to reduce the amount of water that would normally sit inside of your appliance, preventing the direct contact of metal and liquid. Maintenance, Calcium, and Limescale Free Design: As mentioned, the less sitting water you have in your tank, the less corrosion you experience. This also applies to calcium and limescale. Since this appliance only uses the perfect amount of water you need, it reduces the production of algae and bacteria. This means you won’t have to worry about maintaining or cleaning your hot water heater. Quartz Infrared Heating Technology: To help add to the efficiency of the tankless water heater, the SioGreen IR260 uses a specialized technology to heat your water. Quartz elements create heat without direct contact with the metal, meaning that there is less chance of bacteria contaminating your water. Below are some of the most important benefits of the SioGreen IR260. There’s nothing better than knowing you’ll be able to cut down on the regular operating costs of your household. With the help of the Quartz Infrared Heating Technology and energy efficient design of the SioGreen appliance, you’ll be able to save time and money. First, you won’t have to worry about regular maintenance, as there is little to no sitting water in your tank over the years. This helps to protect all of the most important components of the heater to ensure there isn’t any buildup of algae, bacteria, calcium, or corrosion. Second, since the water heater is able to heat up quickly in a matter of seconds, there’s no need to worry about an appliance that is constantly running for long periods of time. In addition, it doesn’t produce more water than your household needs, as it is an on-demand system. 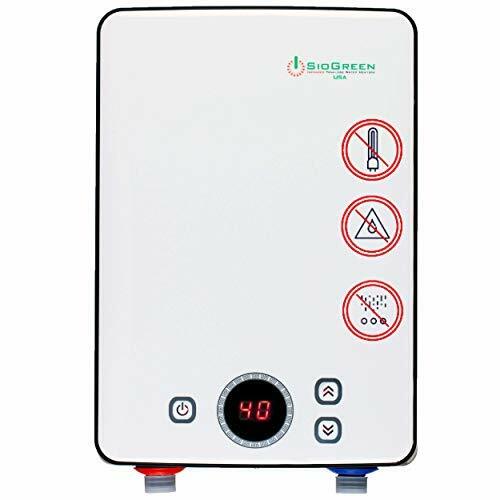 If you live in an area where you aren’t able to experience the benefits of soft water, you’ll be glad to know that the SioGreen IR260 Infrared Electric Tankless Water Heater is designed to work best in hard water conditions. Considering hard water is filled with calcium and other harmful minerals, you’ll easily be able to use your heater for over 20 years without any buildup. As another way for you to give back to the environment, this tankless water heater is constructed out of recyclable materials. Designed to last for a long period with superior heating efficiency and incredible longevity, the SioGreen is a remarkable water heating appliance. As with any product, it is important to consider any concerns you may experience with use. As with the majority of water heaters, you may find you need to work with the settings in order to acquire the perfect water temperature. With the SioGreen IR260 Infrared Electric Tankless Water Heater, you will need to determine the level of water flow that works best for your ideal water temperature. The lower the flow is, the hotter the water will be and vice versa. 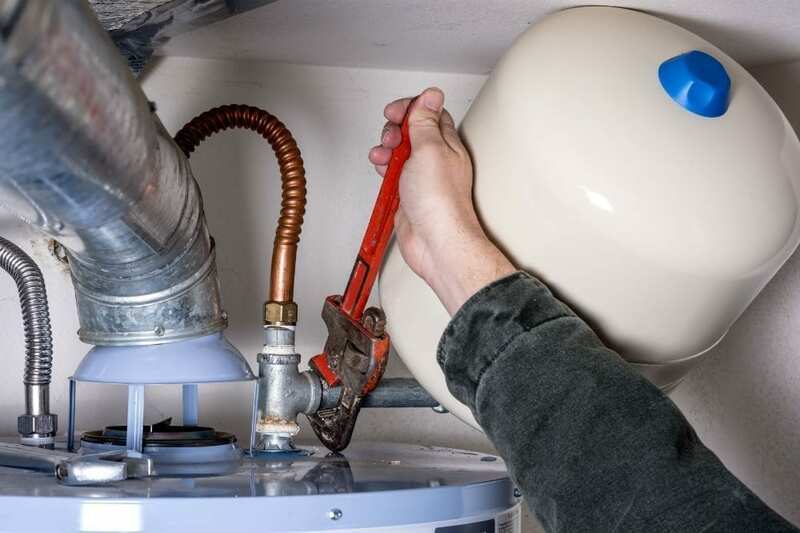 Unfortunately, this can take time and a small amount of expertise with water heaters in order to understand how to adjust the water flow settings for your home. There are plenty of tankless water heaters that you can choose from, but the SioGreen Infrared IR260 surely offers a list of benefits far longer than other competing brands. Designed to make heating your home easier, this particular unit is perfect for small to medium-sized homes. With the perfect adjustments, you will easily be able to heat water for all of your bathrooms and appliances within a matter of seconds. The Sio Green IR260 also offers a compact design that is easy to install in relatively any space. This is especially great if you’re trying to fit it into a small closet in an apartment or vacation property. Overall, its performance is spectacular, and although it may require some personal adjustments, once you’ve achieved your ideal level of water flow you will surely appreciate the quality of this water heater.